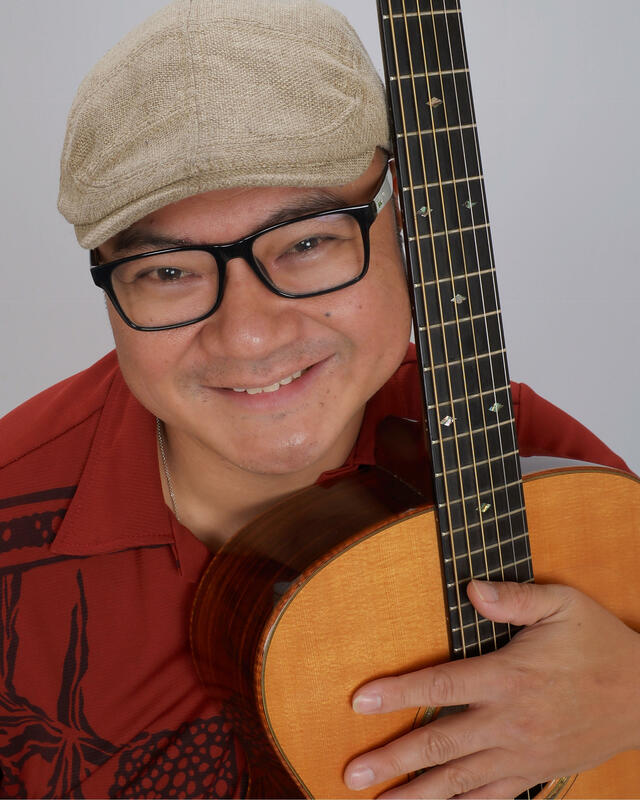 Hawaiʻi Public Radio presents an evening of music, storytelling, and aloha from Hōkū-winning slack key artist Patrick Landeza in the Atherton Studio on Friday, May 19 at 7:30 p.m. Landeza will be featuring songs from his latest album “Hoʻomanaʻo” (translates “to remember”), which is currently on the final ballot of the 2017 Nā Hōkū Hanohano Award, Slack Key Album of the Year. He will also share stories of learning slack key from some of the masters of the genre, as detailed in his newly released memoir From the Island of Berkeley, CA. Landeza will be joined by Chris Lau (bass) and Ian O’Sullivan (guitar). Reservations for Patrick Landeza and Friends may be made online at www.hprtickets.org or by calling the station (955-8821) during regular business hours. Tickets are $30 general, $25 for HPR members, and $15 for students with ID; service fees are applied to online orders. The Atherton Studio is located at Hawaiʻi Public Radio, 738 Kāheka Street. Doors open a half hour before the performance. Advance ticket purchase strongly encouraged as the house is frequently sold out before the performance date. When Patrick Landeza became the first mainland-based artist to win the Nã Hōkū Hanohano award in 2013, he told the audience that “being born and raised on the mainland never made me any less Hawaiian.” Having initially learned slack key from his family, Landeza later apprenticed with slack key legend Raymond Kāne, and was mentored by slack key masters Cyril Pahinui, George Kuo, and Dennis Kamakahi. After successful forays into radio, catering, and concert production, Landeza is beginning to focus his attention on future generations. He authored a children’s book, Danny’s Hawaiian Journey, and now teaches his five children to carry on the Hawaiian music traditions that were passed down to him.